“If only you could design just one good chair in your life . . . But you simply cannot.” Hans J. Wegner, 1952. 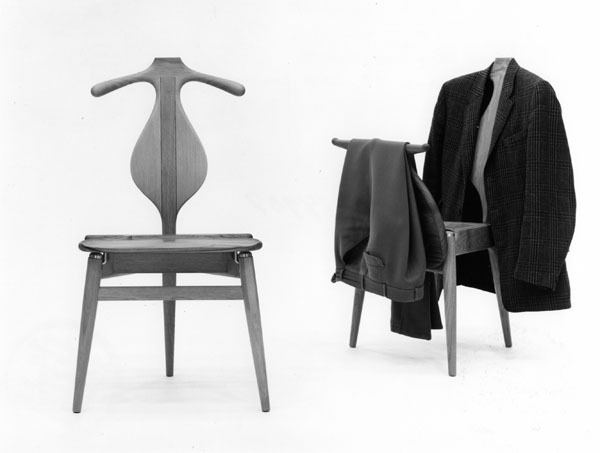 The exhibition “Wegner : just one good chair”, opening on the 3rd of April 2014, marks the 100-year anniversary of Hans J. Wegner’s birth. 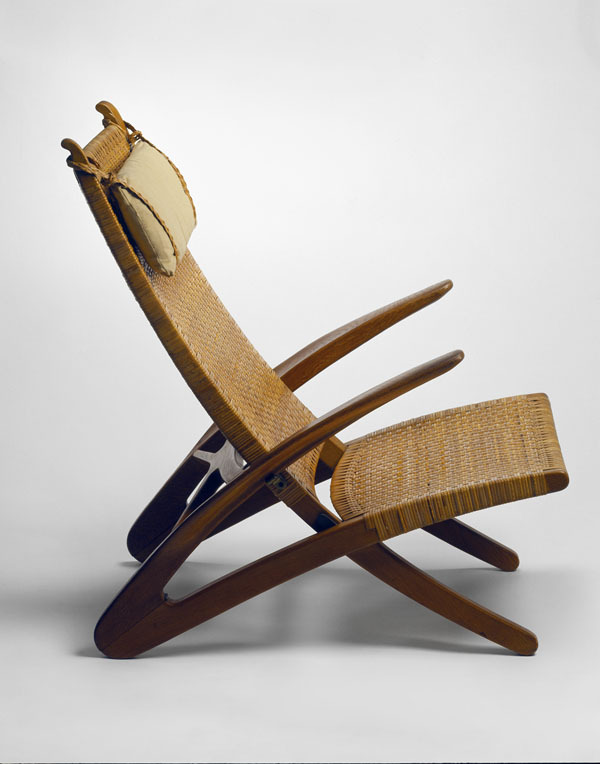 Wegner (1914-2007) was one of history’s most prolific designers. In 1949 he created the design that the Americans called ‘The Chair’. The perfect chair – but he continued designing new ones nonetheless, producing a total of over 500. He was referred to as ‘The King of Chairs’ – or just the ‘Chair Maker’. His furniture paved the way for Danish Design’s international breakthrough in the years after World War II, and he was to become a leading figure in Organic Modernism. A poetic take on modernism. 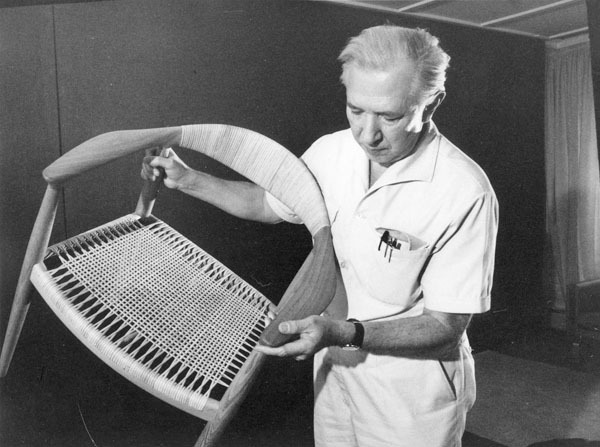 Wegner’s work always took its starting point in craftsmanship, and he produced nearly all of his own prototypes in the workshop. His life is best understood as an enduring mission to understand the logic and the potential of wood. He showed the modern world that the old virtues of craftsmanship, such as sensuality, beautiful detailing and the use of natural materials, also have a place in the modern industrialized world. 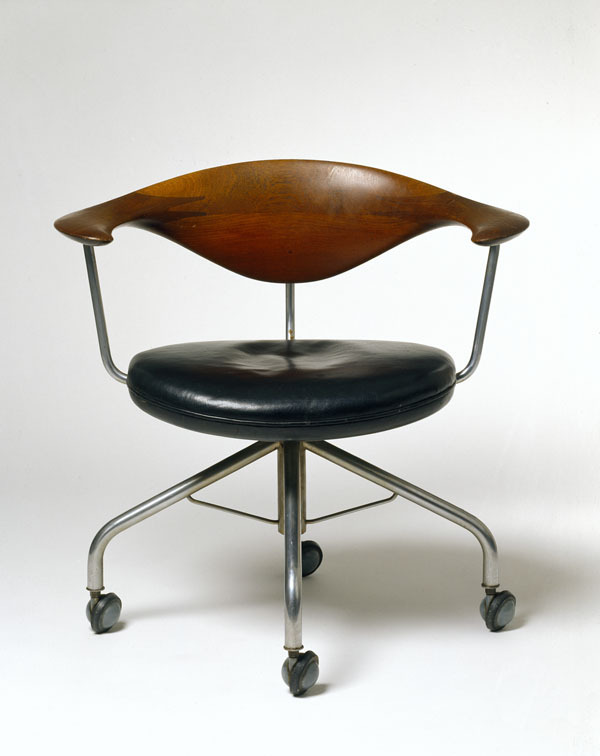 Wegner’s approach to design was neither retrospective nor romantic, but his furniture was nevertheless full of poetry – which is why his designs, despite the fact that they are wholly rational and grounded in functionality, have remained popular right up to the present day, even escaping criticism from the postmodernists. In our late postmodern times, Wegner in many ways represents a more human route into modernism. A cornerstone in Danish design. The exhibition tells the story of Wegner’s life and career, showing more than 150 of his major original works from the time, drawings, photos and models, exploring Wegner’s working methods and vast oeuvre. It is also possible to try out and touch over 50 newly produced Wegner-pieces in the exhibition. Along with film and furniture, by some of his contemporaries, like Charles & Ray Eames, Finn Juhl, Arne Jacobsen and Mies van der Rohe, the exhibition shows how the finest wooden furniture is made. Wegner’s work was the product of the Danish Furniture School – while also representing a break with it because of his free, artistic mode of expression. Founded by Professor Kaare Klint in the 1920s, The Danish Furniture School set out to build on traditions. Historic furniture from different cultures and eras, from Designmuseum Danmarks’s collection, was studied, refined, and adapted to contemporary needs. A hallmark of Danish design is the desire to perfect the very best work found in other cultures and eras. The history of Danish design is like the history of Danish politics – defined not by revolution, but by evolution. This pragmatic, humanistic and democratic thinking is seen throughout every aspect of Danish society, and it is in this context that the characteristically clean lines of Danish products should be understood. Traditionalist and modernist. 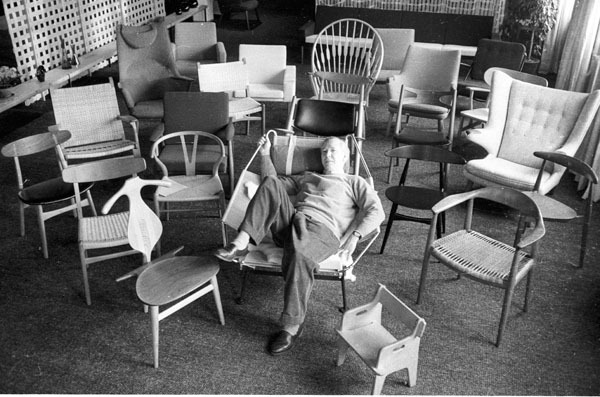 Wegner worked his whole life towards improving old Chinese and English chairs, along with new, modernist furniture; and towards simplifying and beautifying them, in order to enhance their artistic expression, while also making them more suitable for industrial or mass production. The majority of his most ground-breaking ideas were presented at the annual Joiners’ Guild Exhibition at the Designmuseum Denmark. It’s at these exhibitions that Americans came to see the quality of Danish furniture art, and began to write about it. 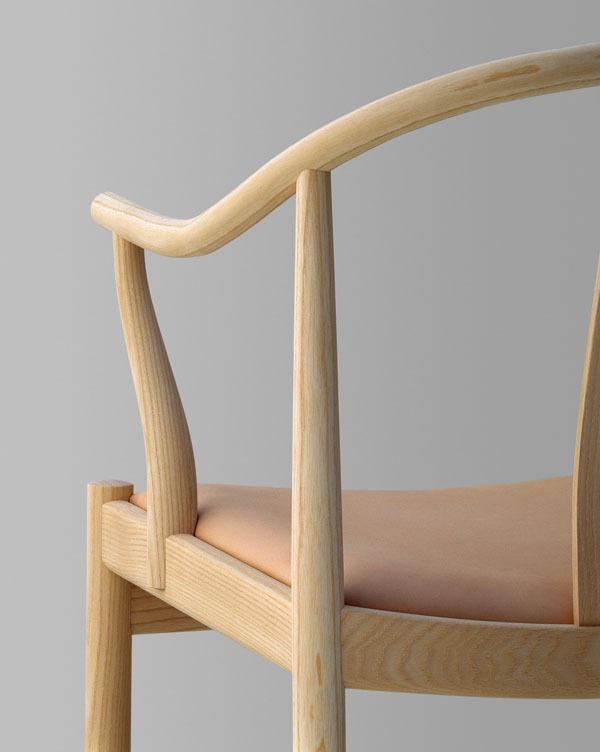 What was special about Wegner, as a Danish designer, was his ability to develop classic design ideals into something completely new, often finding inspiration in centuries-old handcrafts. With his organic shapes, inspired by ancient tools such as axe-handles and oars, Wegner made his impact on the artistic movement of the time: Organic Modernism. The exhibition tells the story of how and why Wegner and Danish design made such an impression in the 1950s throughout America and the rest of the world. What makes Danish design special in relation to German, American and Italian design, for instance? And why is Danish design, and Wegner’s in particular, so popular in Asia today, serving as a model for so many of the greatest designers of our time – such as Jasper Morrison, Naoto Fukasawa, Tadeo Ando and Konstantin Grcic. The exhibition shows not only Wegner’s work, but also some of the most significant post-war Danish and international designers; works of historical inspiration from the Designmuseum Danmark’s collection; and also current international work, inspired by Danish design.